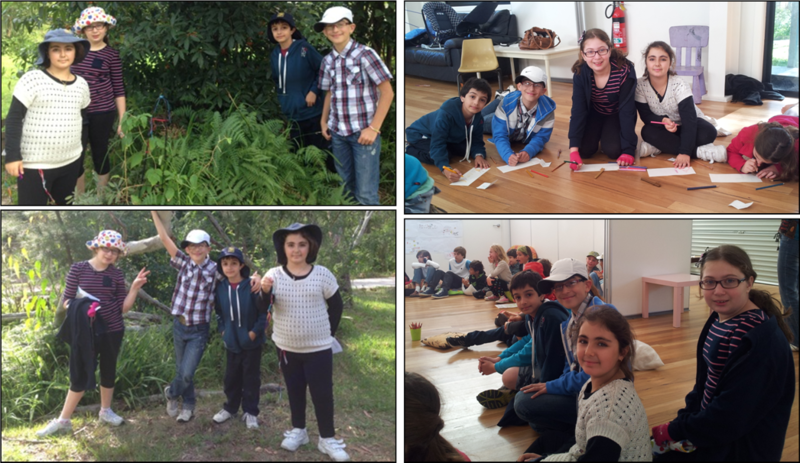 On Tuesday 21st May, Krikor, Stella, Serly and I went on a trip to the Kinma School in Duffys Forest. When Mr Manoug dropped us off we gathered in their big hall. A person asked for our names to put in a basket. After all our names were put in, we had to pick out a name and write it down on a piece of rectangle paper. You had to write it as neatly as possible with decorations. Then we had to find the person whose name we had written. After this, all the schools had interviews with each other. Questions that were asked were what their name was and what they like about their school? After the interviews, we went to eat morning tea. There were all sorts of yummy things like gluten and dairy free chocolate cake, chocolate covered biscuits and cupcakes. We ate a lot so we wouldn’t get hungry in between the events. We played on the playground for a little while and then a photographer took a photo of us all. When the photos were taken, we went back into the hall to continue the interviews. Right after this, the Kinma School showed us a video clip about what ‘Friendship Day’ is and about their 627 metre long friendship bracelet. The clip was very fascinating. After this we began making our own friendship bracelets. It was a bit tricky but we got the hang of it! During this session, they announced that we were going to their creek after lunch. We were certainly looking forward to that! At lunch we ate Spaghetti Bolognaise with parmesan cheese on top then played some soccer. After this we went on a bushwalk to see their creek. On the way we picked up walking sticks and used them for the big hills. We also found bushes filled with Honeysuckles. We collected these and ate them on the way back. 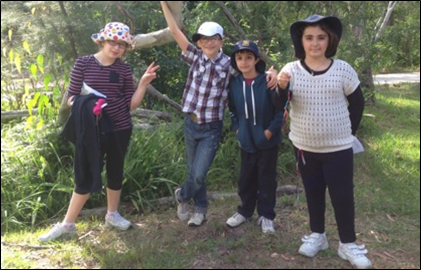 When we finished our bushwalk, Mrs Apanian came and picked us up to take us back to school. We had such a great time and made lots of new friends.